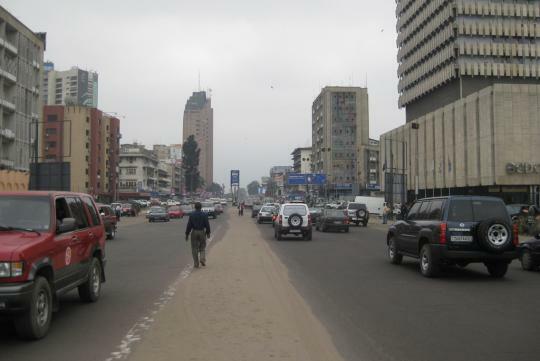 The city of Kinshasa in the Democratic Republic of Congo, with a population of about 10 million people, suffers from choking traffic, and the local police has decided to engage the help of two robocops. Well, they are technically stationary, but they're helping to keep pedestrians in the country's capital safer. 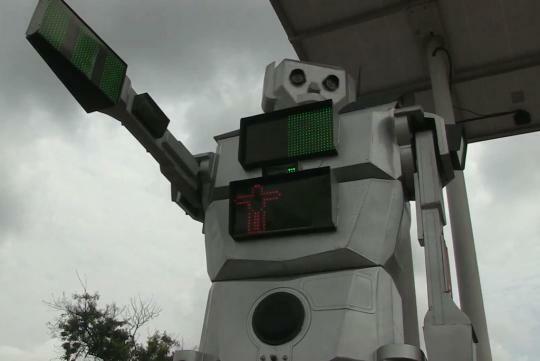 The eight-foot tall, aluminum and steel robots are installed at two, high-traffic intersections to regulate traffic flow. Costing US$15,000 (S$18,960), the solar-powered bots were installed in June last year and were engineered by a team of local engineers to withstand the country's sweltering heat. Their arms act as traffic signals, while their chests display whether it is safe for walkers to cross the street. A speaker also says whether it is safe to cross. Surveillance cameras are also mounted in the shoulders in case anyone attempts to disobey traffic rules. 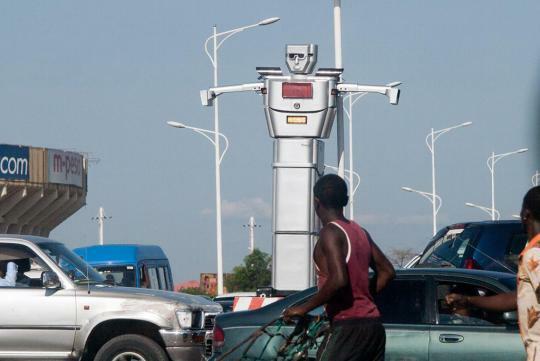 While giant, humanoid traffic signal robots sound like something more likely to come out of Japan than the Democratic Republic of Congo, they merge the functions of human traffic officers and signal lights which means more cops patrolling the streets. Watch the robots in action below and see the public's reaction to the new additions to the police force. These may well be the closest to real-life Transformers as of now. Don't you think so? I think by 2024, we will have elysium liao. Cos robots can't be bribed. Technology and humans works both ways. If the humans don't listen to the robots, it will be a failure. If the robot don't listen to the humans, it will be havoc. it should be eqquiped with a 8000kW laser gun to blow up those car who cut queue..